As New York’s retail sector adjusts to shifting consumer behavior, disruptors and veterans alike see opportunity, albeit in different places. 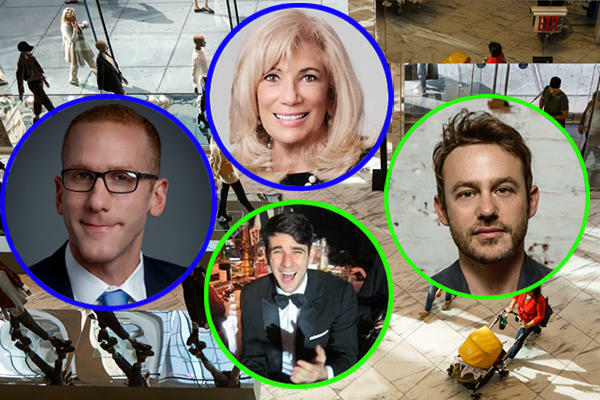 At 92Y and Hundred Stories’ “City of Tomorrow” summit on Saturday, traditional players like Cushman & Wakefield’s Joanne Podell and Brookfield Properties’s Mark Kostic spoke alongside the heads of companies that cater to online brands looking for physical space, Appear Here’s Josh Yentob and Showfields’ founder Amir Zwickel. From the get-go, the need for physical space was not contested by the disruptors. The serendipity of real life discovery cannot be recreated online, said Zwickel. His Showfields concept currently operates like a WeWork for online brands who want short-term shared retail space. Yentob, whose company helps online brands secure pop-up leases, noted his clients experience a boost in web traffic of about 45 percent after they set up shop. “They need physical retail in order to drive traffic online,” he said. “There’s a huge disconnect between what brands want and they’re willing to pay, and what the spaces are valued at,” he said, noting that prices in European cities are “a little bit more realistic” compared to New York. Podell, Cushman’s top retail broker, disagreed, saying price adjustment was already underway, albeit quietly. Landlords’ pricing expectations are changing, according to Podell. Consensus emerged again between Podell and Zwickel around the oversupply of retail space. Zwickel placed responsibility on American zoning authorities for allowing real estate developers to build too much retail. He cited recent studies documenting the outsized amount of retail per capita in the U.S. compared to the rest of the world. Podell agreed. She also called out the city for starting to crackdown on widespread yet illegal retail development in Soho after decades of turning a blind eye. Views diverged, however, when it came to the future of suburban retail.